For this recipe, you can use a crock pot or your oven. 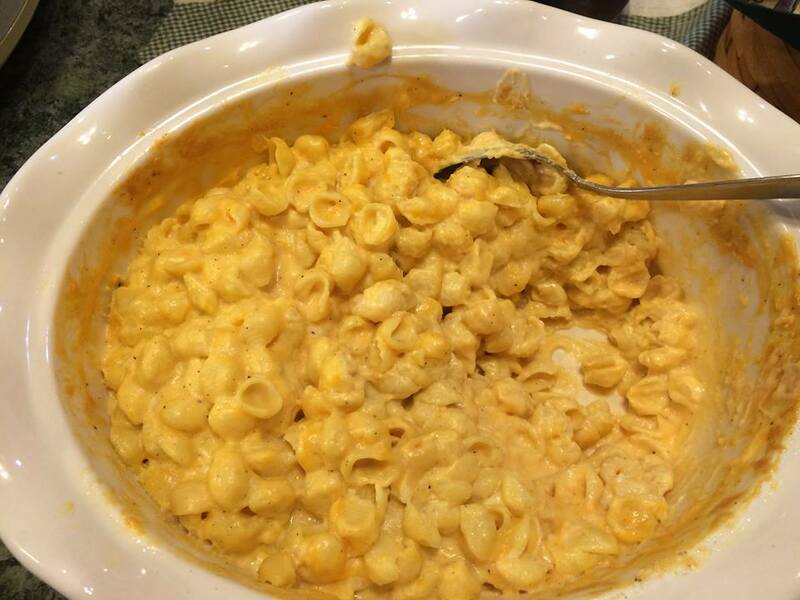 Creamy and lots of cheese flavor, this recipe keeps folks coming back for more. 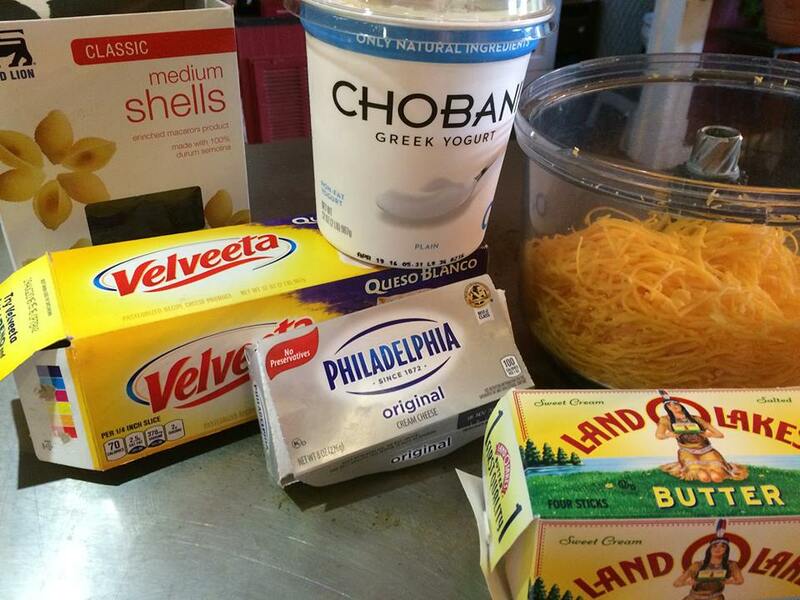 With the cheese and yogurt in this recipe, you have plenty of protein. 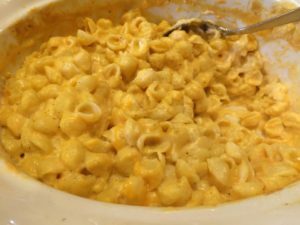 You can use regular macaroni noodles or some type of shell macaroni. Cook your macaroni and drain. Mix your sauce ingredients together, then combine the two. I mixed mine up the evening before and then put it into stoneware in the morning. For this time, I decided not to use a crock pot but just warm the dish in the oven for 1 1/2 hours at 250. The ingredients were cold when I put the container into the oven, so it took a little longer to heat up the ingredients. 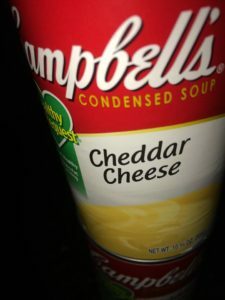 For the sauce, you will need these ingredients: cheddar cheese, cream cheese, cheddar cheese soup, sour cream (or yogurt), salt and pepper, milk or cream and mustard. 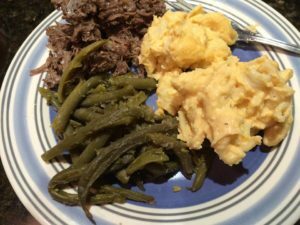 An easy fix-it-and-forget-it dish that can be done in a crockpot or in the oven.